When you need a new work-ready pickup trick, which model will you choose? We know selecting the perfect vehicle can be overwhelming, so let the Mike Anderson Chevrolet of Merrillville team assist you! We’re comparing two popular models: the 2019 Chevy Silverado 2500HD and 2018 Ram 2500. Below, you can browse Chevy Silverado 2500HD and Ram 2500 differences to come to a decision with ease. If you’d like more insight on the Chevy Silverado 2500HD, learn more about it here. You can also look through the new vehicle inventory at our Chevy dealership near Gary, IN for available Silverado 2500HD trims. We’ll be looking at the all-new 2019 Chevy Silverado 2500HD LTZ, starting at $50,795 MSRP, and 2018 Ram 2500 Laramie, starting at $48,545 MSRP. If you’re looking for a powerful pickup truck, the Chevy Silverado 2500HD and Ram 2500, built for heavy-duty tasks, will surely meet your standards. The 2019 Chevy Silverado 2500HD is equipped with the 6.0L Vortec® V8 engine and available with the 6.6L Duramax® turbo-diesel V8 engine. The 2018 Ram 2500 is equipped with a 6.4L V8 engine and available with a 6.7L turbo diesel engine. You’ll also find a 6-speed automatic transmission in both vehicles, as well as the option between a 4×2 and 4×4 drivetrain. Make your life a little easier when you introduce the 2019 Chevy Silverado 2500HD or Ram 2500 to your daily drive. Take a look below to see the differences between these two favorable models to ensure your drive runs as smoothly as possible. 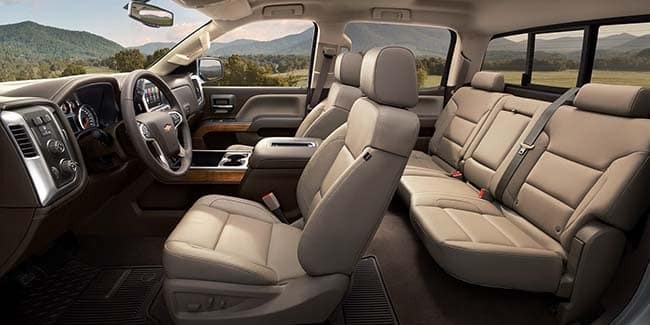 Power adjustable pedals are optional on the Chevy Silverado 2500HD and unavailable on the Ram 2500. The Silverado 2500HD’s EZ-Lift and Lower tailgate makes loading up the truck bed an incredibly easy task. The Silverado 2500HD has 18-in. chromed aluminum wheels and the Ram 2500 has 18-in. polished aluminum wheels. The Essentials Package, exclusive to the Silverado 2500HD, includes 4-in. round chrome tubular assist steps, a soft-folding tonneau cover, and all-weather floor liners. You’ll stay connected and protected in either pickup truck model, but which one has the specific features you’re looking for? Check out the technology and safety feature differences between the 2019 Chevy Silverado 2500HD and Ram 2500. A 4G LTE Wi-Fi® hotspot is standard on only the Chevy Silverado 2500HD. 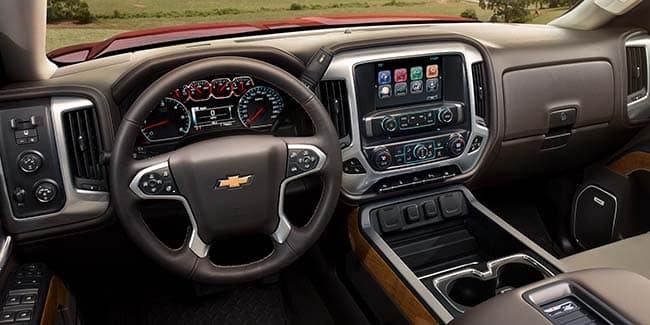 Teen Driver technology is also exclusive to the Chevy Silverado 2500HD. A rear entertainment system is available on the Silverado 2500HD. This feature isn’t available on the Ram 2500. Test drive the new Silverado 2500HD by scheduling an appointment at our Chevy dealership near Gary, IN today! Get in touch with the Mike Anderson Chevrolet of Merrillville team by calling (219) 947-4151 or reaching out through our online contact form.